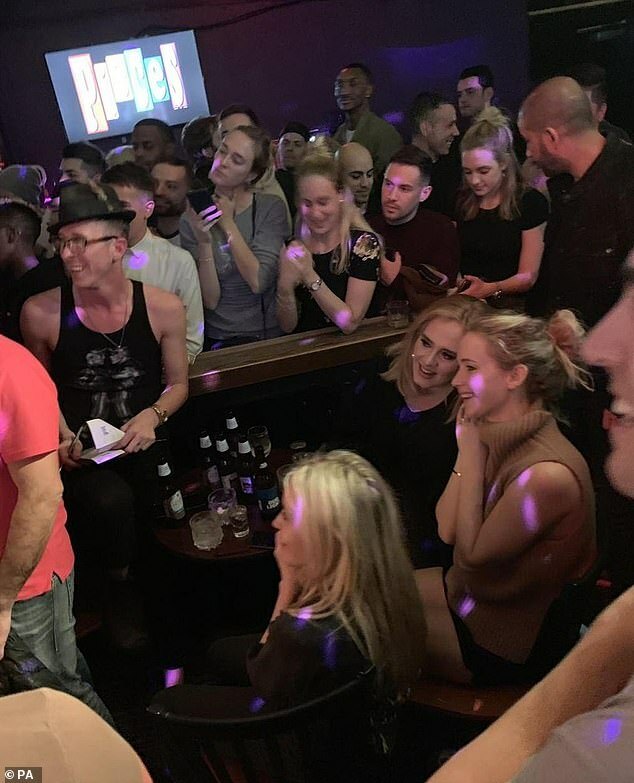 Adele and Jennifer Lawrence enjoyed the girls’ night out we all wanted to be a part of on Friday night. 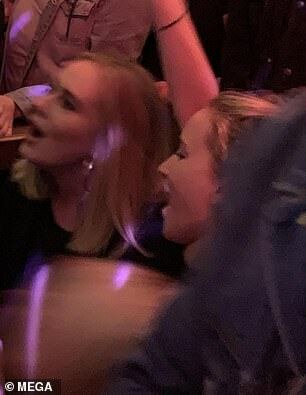 Grammy-winning British artist Adele, 30, and Hollywood actress J-Law, 28, hit Pieces Gay Bar in New York City in the West Village for a raucous night on the tiles. 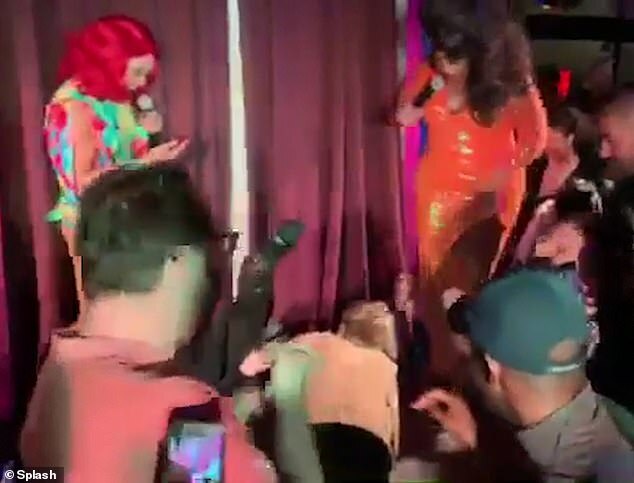 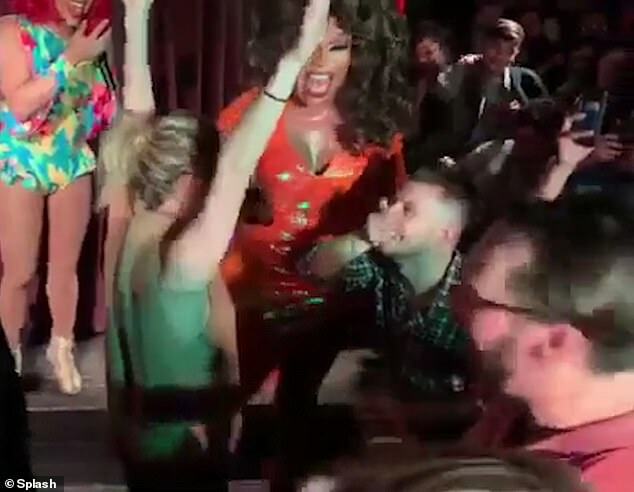 Footage from inside the venue shows them playing wild drinking games to the sound of Kylie Minogue, before rolling around on the floor laughing. 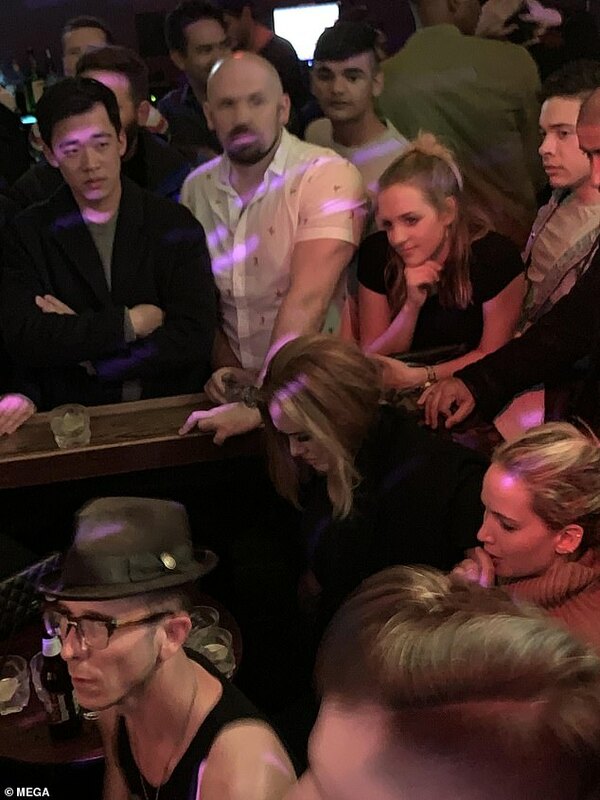 Hunger Games star Jennifer quickly established herself as the superior drinker as the competitive pair necked their drinks and accepted forfeits in front of a room full of revellers. 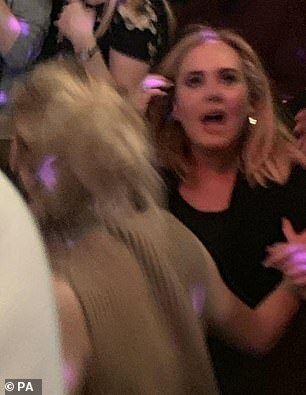 Making light of her recent engagement to Cooke Maroney, Jennifer declared that being a bride-to-be had ‘nothing to do with her drinking abilities’ as she threw her hands in the air and shouted, ‘You lose’ in Adele’s face. 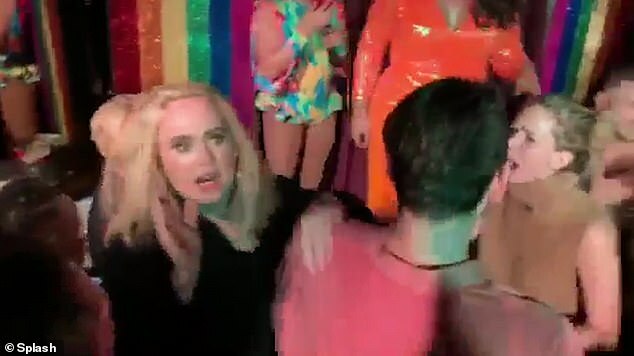 At one point, Adele appeared to trip up on her way to the stage, leading Jennifer to bundle on top of her in fits of giggles. 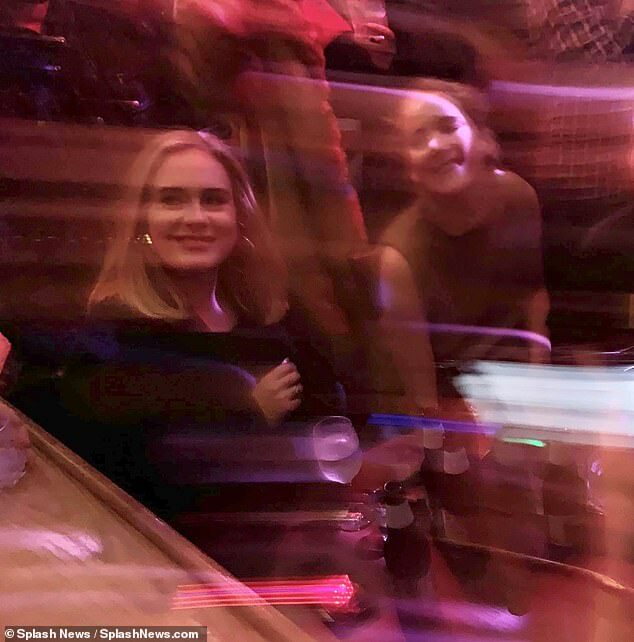 Adele is rarely seen out drinking, so she really seemed to be letting her hair down with her long-term celebrity BFF. 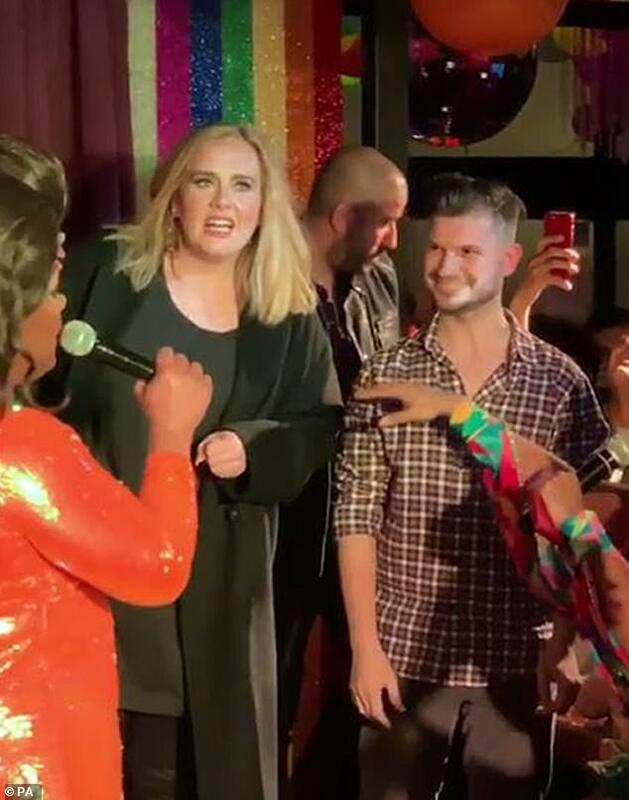 The English musician settled down with charity entrepreneur Simon Konecki eight years ago and then now how six-year-old son Angelo. 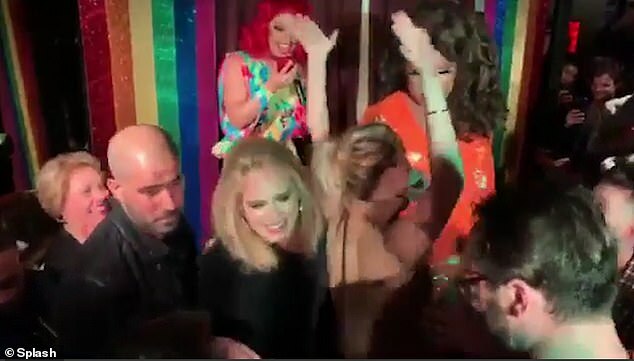 Jennifer, meanwhile, recently got engaged to art gallerist Cooke after almost a year of dating. 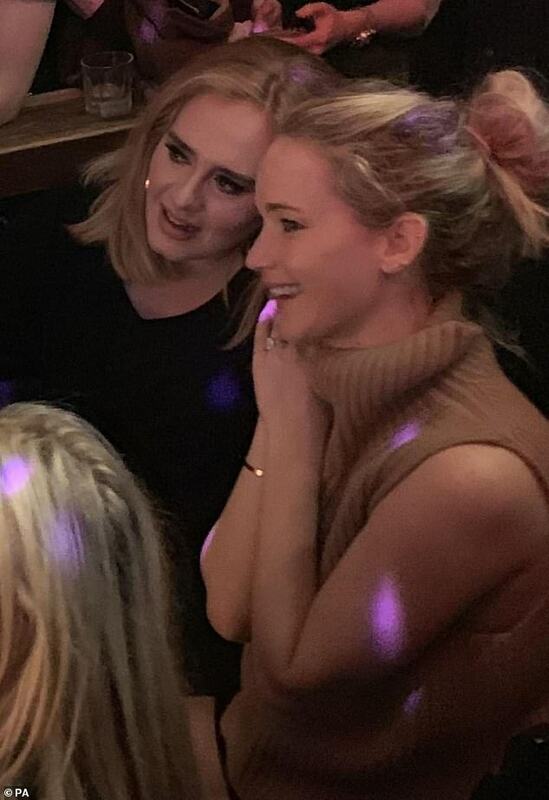 Showbiz worlds first collided for Adele and Jennifer when they met at the Academy Awards in 2013 and instantly hit it off. 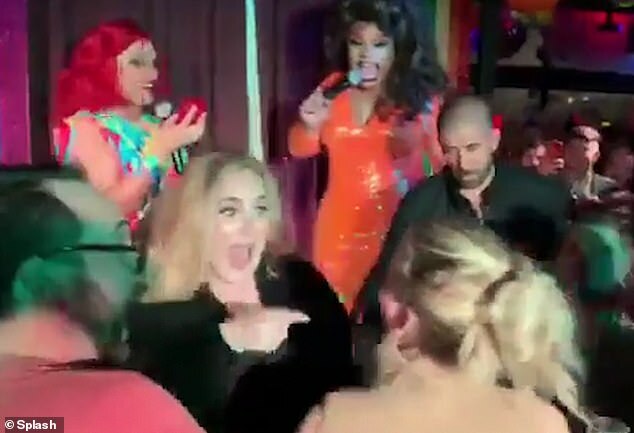 Both stars became Oscar winners that night as Adele won for James Bond theme tune Skyfall and Jennifer accepted the award for Best Supporting Actress in American Hustle. 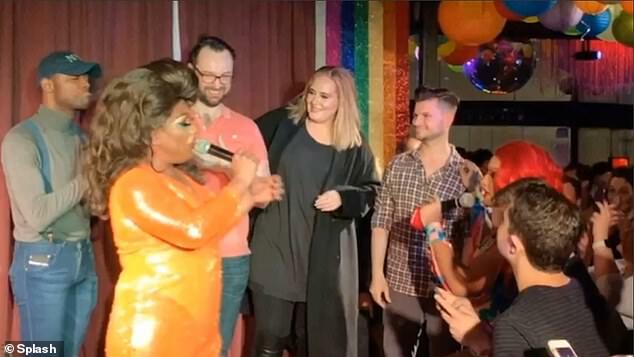 However, Jennifer has since revealed that she had been a fan of Adele’s music since 2008 and admitted to feeling starstruck while watching the Hello singer perform at the annual Hollywood awards ceremony that year. 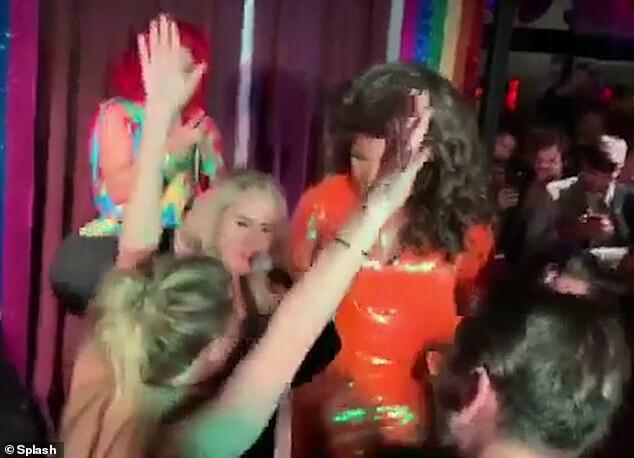 Admitting that she orchestrated their first meeting, Jennifer previously said: ‘I remember sneaking backstage while she performed Skyfall, trying to squeeze a ball gown past a pile of ropes and cables just to get a little closer. 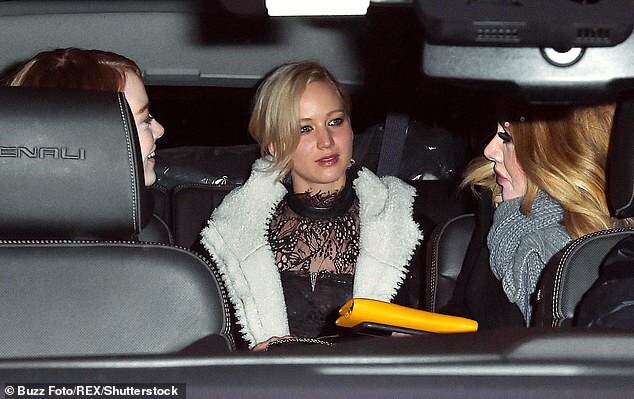 The twosome went on to redefine ‘friendship goals’ when they were pictured hanging out with actress Emma Stone on a girls’ night out in 2016. 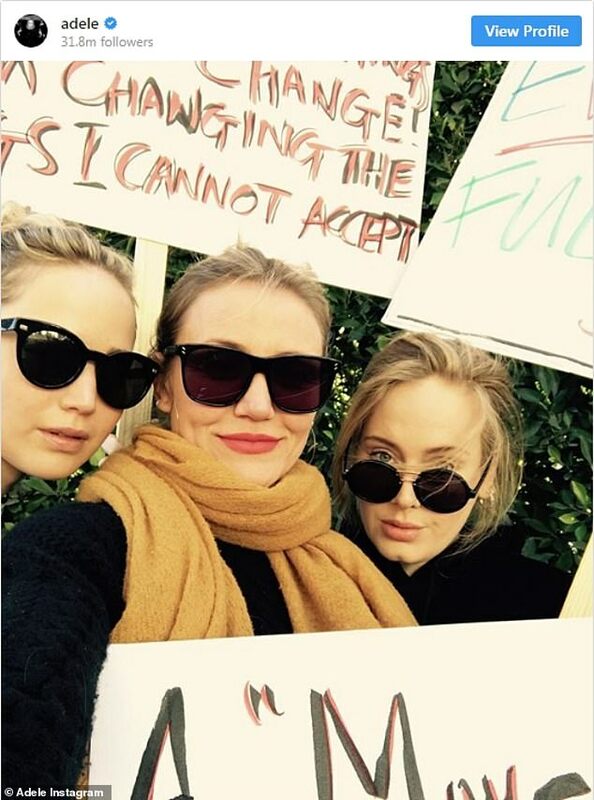 Later, in January 2018, Jennifer and Adele teamed up for the Women’s March 2018 in Los Angeles, accompanied by another Hollywood heavyweight, Cameron Diaz. 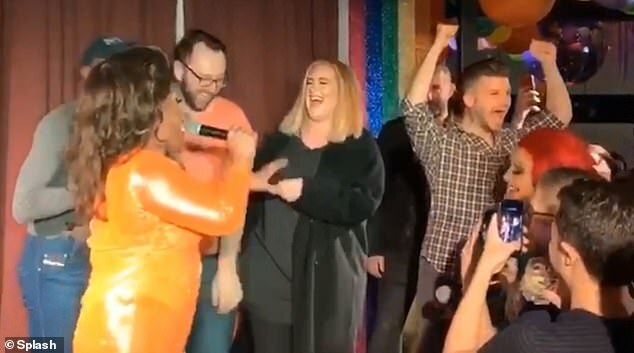 Adele has many famous friends, including Taylor Swift, Lady Gaga and Rihanna, but she was last pictured heading to The Carters’ Oscars afterparty last month. 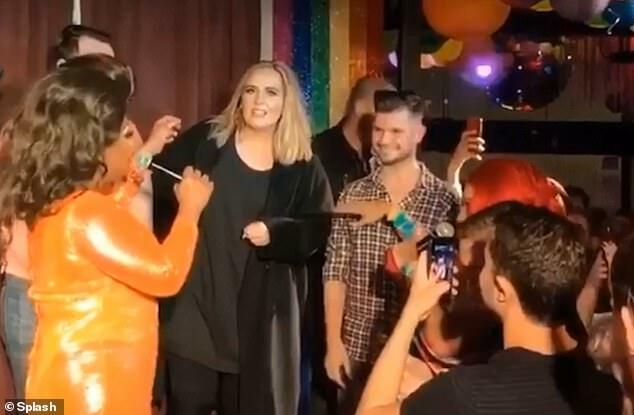 Once again making a rare return to the party scene, Adele made a covert exit from Beyonce and Jay-Z’s second annual Gold Party, at Chateau Marmont in Los Angeles, six years after winning her own Academy Award.